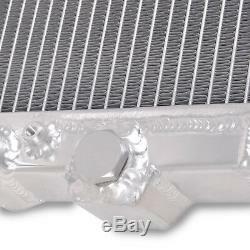 40mm TWIN CORE ALLOY RACE RADIATOR RAD FOR VW GOLF MK3 2.8 VR6 POLO LUPO 6N 91+. "The latest design twin Water Channel Core, holds more water to reduce engine temps". 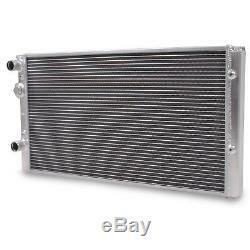 Twin channel aluminium core will achieve up to 30% more cooling capability than the standard radiator. 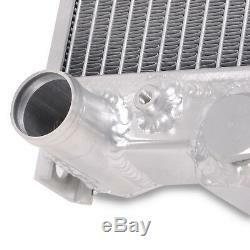 Keeps engine temperatures down, ideal for track use. More water volume within a channel means greater cooling efficiency. Polished alloy and fully TIG welded for strength and long lasting durability. High quality component and includes 12 months guarantee. We recommend all cooling components are fitted by a qualified mechanic to ensure the correct fitment. Northern Ireland & Ireland, AB31 - AB56, IV1 - IV40, IV52 - IV54, IV63, KW1 - KW14 including Orkney Islands, PA21 - PA38, PH4 - PH50, HS1 - HS9, all Western Isles, IV41 - IV51, IV55 & IV56 (SKYE), KA27 & KA28, KW15 - KW17, PA20, PA41 - PA78, ZE including Shetlands, Isles of Scilly, Isle of Man, Guernsey, Jersey, Isle of Wight and BFPO addresses. We dispatch all orders Monday-Friday. Please be aware that with heavy items the courier may require assistance to unload your order. We recommend all our parts be fitted by qualified persons to ensure correct installation and compatibility. We do not however accept any liability for the costs involved in this. We shall not be held liable for labour costs incurred relating to incompatibility or product failure. All labour costs are incurred as part of an agreement between you and your chosen garage and as such, any labour charge disputes should be handled between those parties concerned. We recommend thoroughly checking compatibility of products on receipt before commencing installation. We ask that all returning items are provided in an un-used state in their original packaging. Our friendly and honest advisors will work with you to resolve the issue promptly. Whether its a daily driven street weapon or purpose built track monster you can rest assured we have exactly what you need. Our comprehensive range of performance parts are engineered to perfection, tested to their limits and in stock ready to go all at unbeatable prices! The price you see is the price you pay! Our expert advisors are all petrol-heads through and through, with over 30 years experience between them. Our dedicated friendly and knowledgeable advisors are here to help so if youve got a question, need a little help or if on the odd occasion things dont quite go to plan; our team will do all they can to put things right! Huge range of products in stock manufactured and tested to the highest quality standards. Unbeatable prices all stock is on the shelf in our UK-based warehouse. 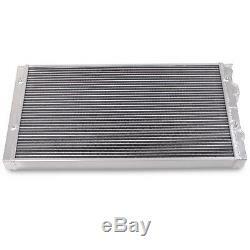 The item "40mm TWIN CORE ALLOY RACE RADIATOR RAD FOR VW GOLF MK3 2.8 VR6 POLO LUPO 6N 91+" is in sale since Friday, May 18, 2018. 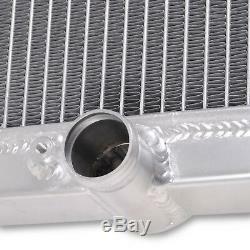 This item is in the category "Vehicle Parts & Accessories\Car Tuning & Styling\Performance Cooling\Performance Radiators". 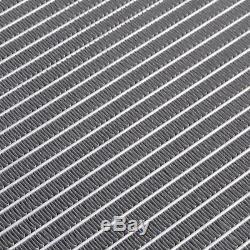 The seller is "uk-performance-uk" and is located in Lancashire. This item can be shipped to all countries in Europe.